Following a vegan diet automatically means you reduce your saturated fat intake, while increasing healthy fibre and phyto-nutrients. Following a healthy, balanced vegan diet results in more energy and a better quality of life. Studies are repeatedly showing that avoiding toxic animal products will protect you from some of the major diseases striking people in western cultures today. All of the following nutritional benefits come from a vegan diet that contains a variety of foods such as fresh fruits and vegetables, whole grains, nuts and legumes. Reduced saturated fats. Dairy products and meats contain a large amount of saturated fats. By reducing the amount of saturated fats in your diet, you will improve your health tremendously, especially when it comes to your cardiovascular health. Carbohydrates provide energy for your body. When you don’t have enough carbohydrates, your body resorts to burning muscle tissue. Fibre. A diet high in fibre (as vegan food usually is) leads to healthier bowel movements. High fibre diets help fight against colon cancer. Magnesium. Aiding in the absorption of calcium, magnesium is an important nutrient and is often overlooked. Nuts, seeds, and dark leafy greens are an excellent source of magnesium. Potassium balances hydration and acidity in your body. It stimulates the kidneys to eliminate toxins. Diets high in potassium have been shown to reduce the risk of cardiovascular disease and cancer. Folate. This B vitamin plays an important part in a healthy diet. Folate helps with cell repair, generating red and white blood cells, and metabolizing amino acids. Antioxidants are one of the best ways to protect your body against cell damage, Many researchers also believe that antioxidants help protect your body against some types of cancer. Vitamin C. Besides boosting your immune system, Vitamin C ensures healthy gums and helps heal bruises faster. Vitamin C is also an antioxidant. Protein. That protein is good for your body is no surprise. However, it may be a surprise to learn that most people eat too much protein. Beans, nuts, peas, lentils, and soy products are all great ways to get the right amount of protein in a your diet. Eating a healthy vegan diet has been shown to prevent a number of diseases. Cardiovascular disease. Eating nuts and whole grains, while eliminating dairy products and meat, will improve your cardiovascular health and help to prevent strokes. Cholesterol. By eliminating any animal products, you will eliminate all dietary cholesterol from your diet. Prostate cancer. A major study showed that men in the early stages of prostate cancer who switched to a vegan diet either halted the progress of the cancer or may have even reversed the illness. Colon cancer. Eating a diet consisting of whole grains, along with fresh fruits and vegetables can greatly reduce your chances of colon cancer. Cataracts. In much the same way that macular degeneration is headed off by a vegan diet, cataracts are also thought to be prevented through the intake of fruits and vegetables that are high in antioxidants. Arthritis. Eliminating dairy consumption has long been connected with alleviating arthritis symptoms, but a recent study indicates that a combination of gluten-free and vegan diet is very promising for improving the health of those suffering from rheumatoid arthritis. Body Mass Index. Several population studies show that a diet without meat leads to lower BMIs, which is usually an indicator of a healthy weight and lack of fat on the body. Weight loss. A healthy weight loss is a typical result of a smart vegan diet. Eating vegan eliminates most of the unhealthy foods that tend to cause weight issues. Read more about weight loss and a vegan diet. Energy. When following a healthy vegan diet, you will find you have more energy. This blog post in Happy Healthy Long Life describes how NFL tight-end Tony Gonzalez started eating vegan and gained energy. Healthy skin. Nuts and vegetables rich in vitamins A and E, play a big role in healthy skin, so vegans will usually have good skin health. Many people who switch to a vegan diet will notice a remarkable reduction in blemishes. Longer life. 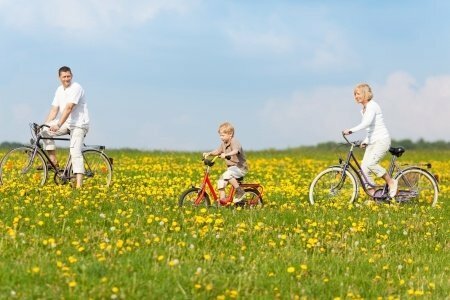 Several studies indicate that those following a vegan lifestyle live an average of three to six years longer than those who do not. Body odor. Being vegan means smelling better as eliminating dairy and red meat from the diet significantly reduces body odor. Bad breath. Vegans frequently experience a reduction in bad breath. Migraines. Migraine sufferers who go on vegan diets frequently discover relief from their migraines. Read more about the food-migraine connection. Allergies. Reduction in dairy, meat, and eggs is often tied to the alleviation of allergy symptoms. Many vegans report fewer runny noses and less congestion. The typical Western diet not only consists of too much food, it also contains animal products that may be toxic. The following list explains how a vegan diet can eliminate problems linked to the consumption of animal products. Animal proteins. The average person in the western world eats twice as much protein as necessary to be healthy and much of that is from red meat. Getting protein from beans and grains is far healthier and reduces the risk for osteoporosis. Cow’s milk dairy. The human body is not designed to digest cow’s milk. However, the idea that dairy is healthy is heavily promoted through advertising. As much as 75% of the world’s population may be lactose intolerant with many people suffering from undiagnosed milk allergies or sensitivities. By eliminating cow’s milk from your diet, you are improving your overall health. Eggs. Many nutritionists believe that the number of eggs in the Western diet is too high. It has been shown that eggs can raise cholesterol levels. Mercury. Most of the fish and shellfish consumed contain mercury. While some fish contain less than others, it is almost impossible not to ingest mercury when you consume seafood. E. coli comes from eating contaminated red meat and is the leading cause of bloody diarrhea. Young children, those with compromised immune systems, as well as the elderly, can become extremely ill and even die from E. coli poisoning. Following a vegan diet means completely avoiding the risk of E. coli infection. Salmonella poisoning is another gastrointestinal illness caused by animal products. The most frequent way people contract salmonella food poisoning is through contact with raw eggs or raw chicken meat from chickens infected with salmonella. Again, going vegan means eliminating this risk altogether. Mad cow disease. It’s safe to say that most people would want to avoid contracting a fatal, non-treatable disease. While the incidence of mad cow disease is not reported that often, it does occur. One way to absolutely ensure you don’t get Creutzfeldt-Jakob disease is to not eat animal products at all. Hormone consumption. Eating animals who have been given hormones to speed growth (a common practice in the meat industry) means those hormones end up in your body. Not only can this disrupt the natural balance of your hormones, but some of the hormones given to animals have shown to cause tumor growth in humans. Antibiotics are routinely given to animals. Many of the antibiotics used to treat human infections are also used on animals. This can lead to bacterial resistance. Genetically Modified Organisms. You may avoid GMO’s in your own diet, but the vast majority of genetically modified grains are fed to livestock, which means that you will be affected by them when you consume products from these animals. Being vegan means you can choose to refrain from consuming GMO’s. In addition to the health benefits above, following a vegan lifestyle also has other benefits. Animals. Many people begin a vegan diet out of concern for animals. Whether opposed to the conditions of animals intended for food or eating animals in general, going vegan will end your participation in this cycle of violence and suffering. Environment. Growing plants for food costs far fewer resources than raising animals for food. By eating a vegan diet, you help reduce the toll on the environment. Global food supply. Feeding grain to animals raised for food reduces the amount of grain that is available to underdeveloped nations. Many people will go hungry while the food they could be eating is given to animals to feed the developed nations. Eating a vegan diet ensures that you have removed yourself from participating in this cycle of deprivation. 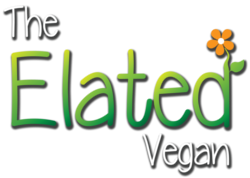 Are you feeling inspired to receive the wonderful benefits of a vegan diet in your own life? 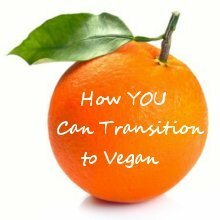 Here are some tips on how you can transition towards being vegan at your own pace. For more information or advice on being vegan please contact me right away.